These alcohol help hotlines connect alcohol addicts with the essential resources and appropriate referrals to help them manage and overcome alcohol addiction. Call Delphi Health Group on the alcohol hotline (866)-520-2708 to get started on the road to recovery. Delphi Health Group provides free counseling and treatment recommendations for callers with alcohol dependence. Representatives are available to receive calls 24 hours a day, seven days a week. Calls are toll-free and 100% confidential. Insurance covers most of the rehabilitation programs offered by the helpline. United Way 211 Minnesota is a 24-hour free hotline to get information for treatment of alcohol and other substance abuse issues. Dial the alcohol help hotline today at 800-543-7709 to get fast access to information and referral to approved treatment programs nearby. United Way 211 Minnesota also links callers to support groups, as well as alcohol outpatient and inpatient treatment programs for chemical dependence across Minnesota. 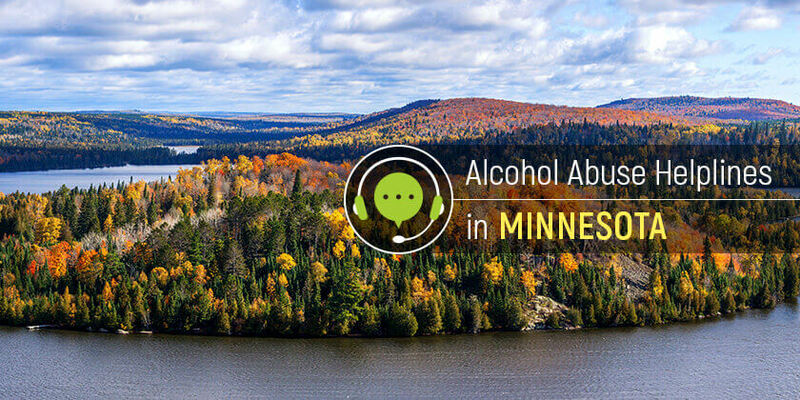 The Minnesota Department of Human Services provides information and resources for managing alcohol and other substance dependence issues. Call the department on the alcohol abuse hotline at 651-431-2460 to connect with a professional who provides information on treatment recommendations, counseling, and referrals. The SAMHSA National Hotline provides access to resources, information, and local treatment programs and services for alcohol addiction and other substance abuse disorders. Call 1-800-662-HELP (4357) to reach the representatives available round-the-clock in English or Spanish. Call these alcohol abuse helplines to get access to treatment programs and services for alcohol dependence nearby.